Years ago, when I was still in school, my aunt became a sarpanch - head of the village council which is the local unit of governance - in North east India - a region where several insurgent groups are active and where the government has given the army special power to act. I wanted to ask my aunt - a dirt poor widow who wasn't politically inclined, how she managed the office in the politically hostile area. But before that could happen, she died. 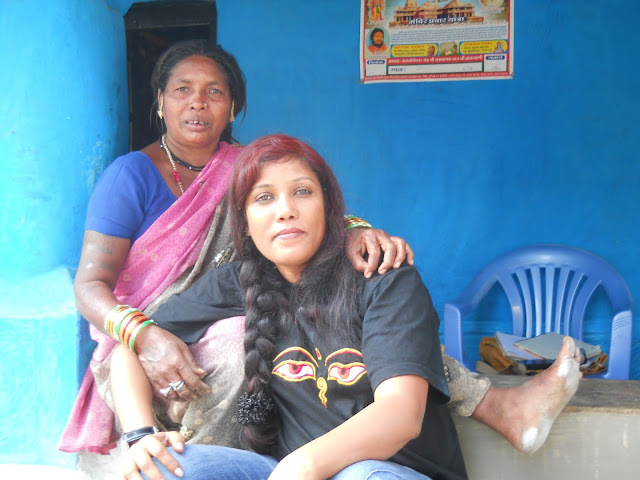 Years later, this March, the National Foundation of India offered me a media fellowship to meet and write on women sarpanches working in districts that are affected by the Maoist insurgency. And thus began a wonderful journey of meeting the "woman sarpanch of the red corridor'. Below are a few moments of this journey so far. The first woman I met is Kalavati. A mother of two she was a woman fighting many a battle at a time: the anti-development stand of the Maoist rebels, the bullish and ever-suspecting army, lack of education among her colleagues and many more. I will always remember her parting words "everyone is quick to see the failure of a woman, but not her struggle." I hope I didn't fail her there. Maya and me in the village elementary school. It was lunch time, kids were having mid-day meal. The next woman sarpanch I met is Maya Kavde - a woman who also inspired me a lot. Here is why: A widow with three school-going daughters, Maya is the only sarpanch I have known who is struggling to make ends meet courtesy her father-in- law who refuses to give her any share of her husband's property. Yet she dedicates all her time to develop the village. 'We tribals are living in a dark time. But girls' education and job-oriented courses for the youth can pull us out of this," she told me. 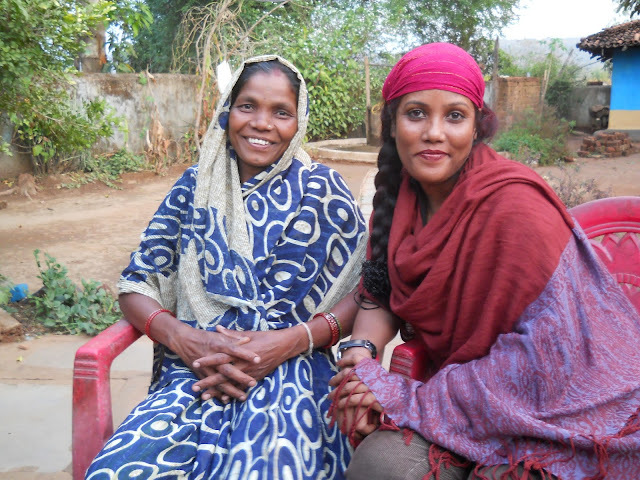 Sukhanti Bai - a sarpanch has something in common with Maya: Sukhanti has no toilets in her home and is regularly bullied by the former sarpanch - a non-tribal man belonging to a "higher" caste. He even sold her some land, but hasn't tranffered the papers in her name because he thinks a tribal woman should not own land. And Saukhanti isn't dragging him to court. Why? because, the villagers' needs are way too grater than hers. Maya told me the same. Me with Dulmat - in white sari and Maya (in pink). Dulmat Netam, a sarpanch I met is young and full of smiles. Dulmat loved being a sarpanch. One day, she would also like to be a member of the legislative assembly (MLA), she said, but what she would really, really love is her husband to understand that being a sarpanch required time and energy - something he wouldn't do. Vasan Buiki became a sarpanch after the sudden death of one of her sons a few years ago. 'I loved him very much and after he died, I went into depression. Then I decided, instead of mourning my son forever, why don't I dedicate my time to the welfare of my community? Life is uncertain anyway,' she told me. 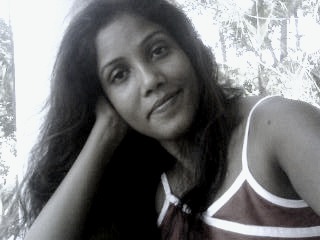 But, like Dulmat, Vasan also doesn't have enough cooperation and under standing of her family and longs for that. Early in August, I met Sandhya Rani - a woman sarpanch in Warangal district of Andhra Pradesh. She is the first sarpanch I have met outside of Chhattisgarh, and while she had no political links or no prior experience like those in Chhattisgarh, Sandhya Rani had something wonderful: strong support of an entire village that elected her -and her all-women village council - unopposed and a social activist husband who swells with pride every time you mention his wife is a sarpanch. 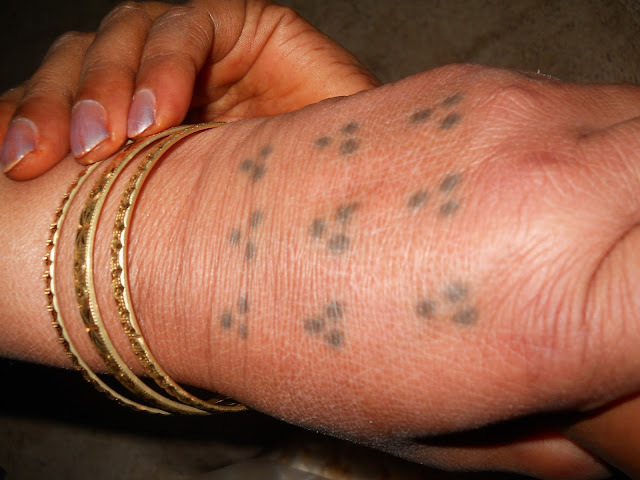 There is a common belief that women in the tribal community/region have more freedom than those in non-tribal society. I used to believe this too. 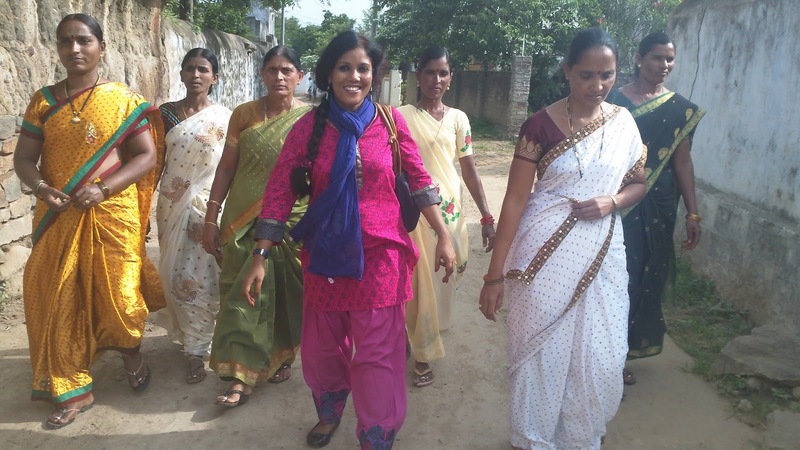 Meeting the women sarpanch of the red corridor has taught me, this is just a myth. Tribal women struggle just as much - if not more - to have their rights over land, property and life in general. But what I also learned in these 5 months is that none of these women, despite all the difficulties they meet, are ready to quit trying to make things better for those who voted for them and also for themselves. With this very encouraging learning, I will now move to the second phase of my fellowship. The next destination will be Odisha. Stay with me! This is just so wonderful! I have learned something about our world and your nation today.